“WEM’s work on our finance effort was outstanding. They conducted exhaustive research to build a lead list and cultivated host committee interest with a series of launch events in Biloxi, Washington, DC and Boston with Governor Patrick. They also crafted a creative and thoughtful benefit package that delivered real value to donors. Kim’s efforts – raising $1.7 million dollars – exceeded our goals. WEM President Kim Whittaker served as the finance director for the 2010 Annual Meeting of the National Governors Association (NGA). 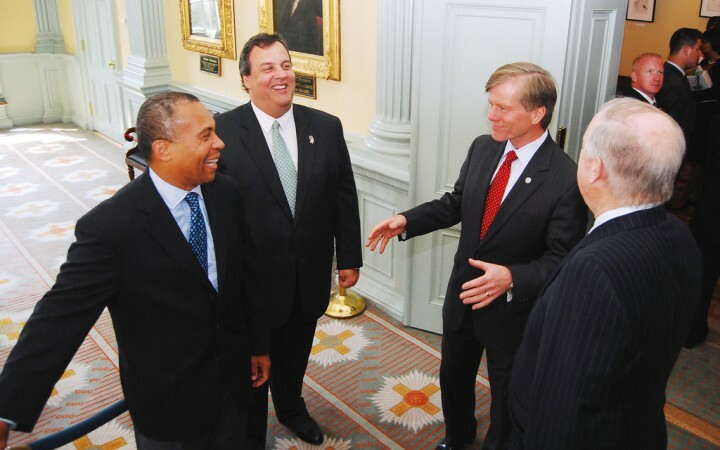 This 3-day conference of Governors was held in Boston and hosted by Massachusetts Governor Deval Patrick. WEM raised, contracted and managed a conference budget of $1.7 million budget and recruited a host committee of 80 corporate sponsors. In addition to fundraising, WEM negotiated contracts, selected and managed event and meeting space, consulted on event planning and organized on-site services and provided onsite logistics and registration for 34 Governors and their staffs, along with 1,200 corporate representatives and VIPs. The project required working with a variety of stakeholders including the NGA, Massachusetts Office of Travel & Tourism, the Massachusetts State Police, the office of Governor Deval Patrick, the Greater Boston Convention & Visitors Bureau and a variety of state agencies. WEM also planned social events for the governors, staff and other guests as well as receptions to promote MassNGA2010. The finance effort in Massachusetts became the model for future NGA Annual Meetings.